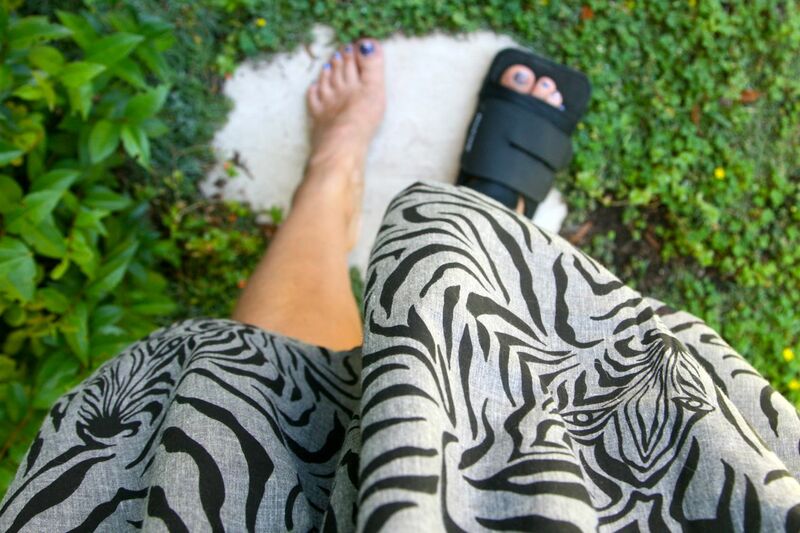 The fractured toe and its orthopedic shoe for the next month – I will have to bling this shoe up I think! 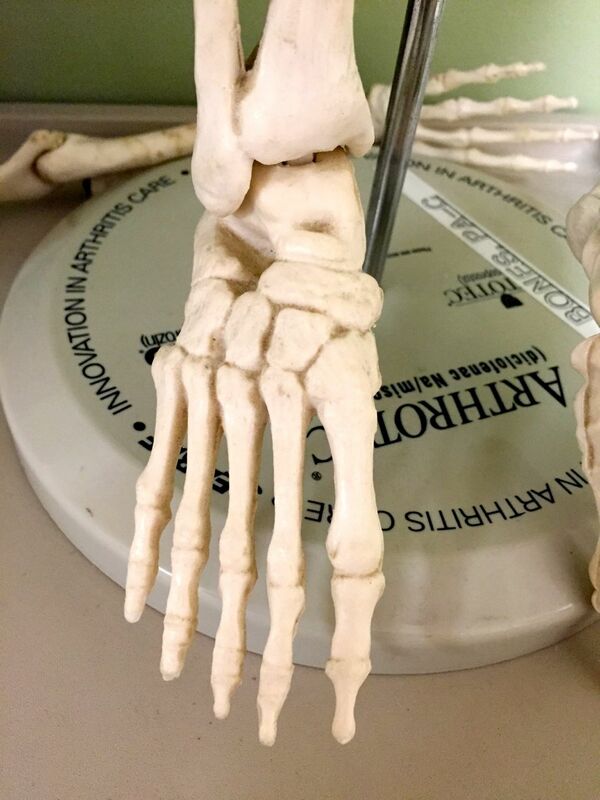 As I was looking at the skeleton in the Doctors office I wanted to know which bone I fractured – it is the top bone before the joint (thank goodness!) Still it is fascinating to see the skeleton and to see how fragile them bones can be! So the weekend involved a lot of cooking as friends of ours visited with their little bubba from Seattle. So I prepared galettes for lunch on Sunday with a fig tart for dessert. 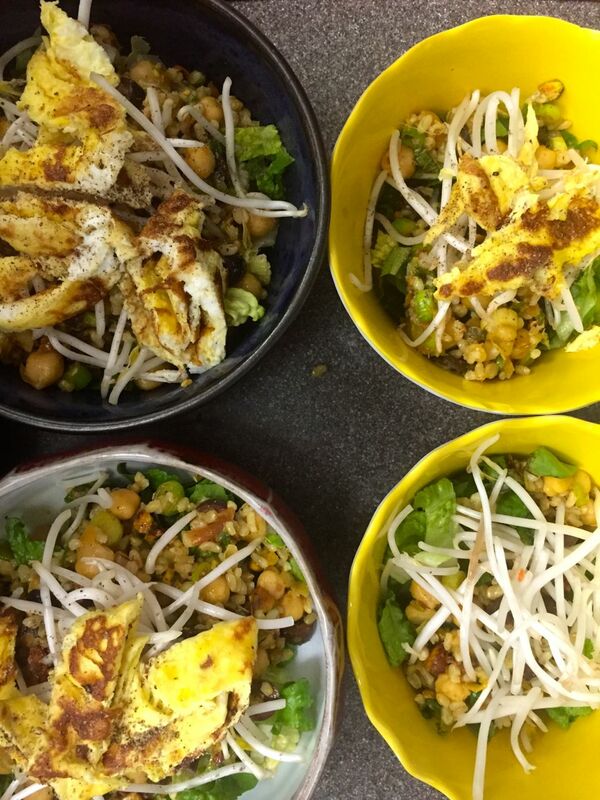 For the family I made this super cool chick pea rice dish – vegetarian (omit the egg) with mung beans from the Salad Samurai cookbook, perfect for summer salads on these hot days!